Great Foundation Line Starter Package - You get a total of 3 female alpacas. All of these girls come with a full reproductive guarantee and a free breeding to one of our elite BlueMesa herdsires. 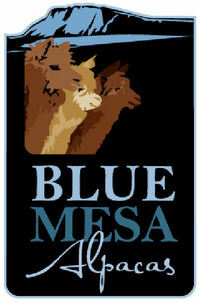 BlueMesa Caroline is a lovely light fawn with full Peruvian genetics. BlueMesa Mandy is a beautiful dark fawn female who is a cross between two classic foundation blood lines, Legacy and Caligula (including the full Accoyo Caligula's Accoyo Poseidon as her grandsire on her dam's side). Also in this package is BlueMesa Sarah, a very fine-fibered bay black female of the McGwire/Victor line. A terrific starter package - All with great foundation line genetics!